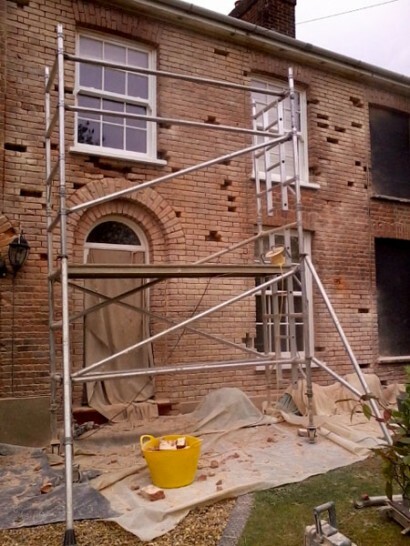 Traditional restoration and repairs to period and listed buildings. Contemporary constructions in oak, brick and flint. 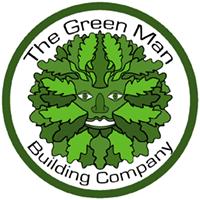 Lime mortar/plaster specialists. Over 50% of our work as specialists in heritage , period and listed buildings is related to fireplaces. Inglenooks are great fun to work with and offer the potential to become the focal point of a home, but just as much impact and pleasure can be gained from the sympathetic treatment of a smaller fireplace. There is something special about a fireplace, even better if it has a real flame, but just the shape of a now blocked off fireplace can enhance a room and form a true focal point. 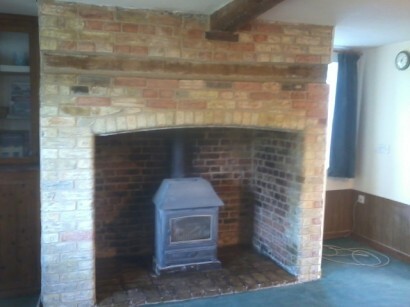 Naturally many clients want to have an open fire or a woodburning/multi fuel stove fitted and part of the process. 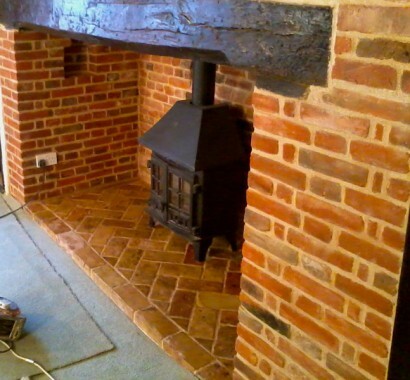 We can offer this to clients on request, so that a complete package from initial survey of the fireplace, through to fitted working fire in a restored or rebuilt fireplace can be achieved. The fitters we work with are Heatas registered http://www.hetas.co.uk and can provide practical information and a range of stoves to suit your property. 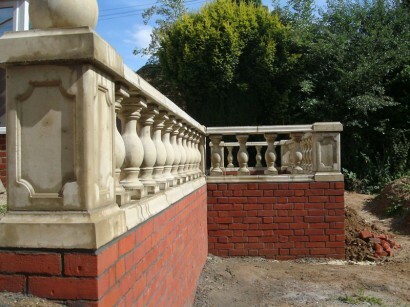 As members of the GUILD OF MASTER CRAFTSMEN http://www.guildmc.com/consumer/, our work is regularly vetted for quality of workmanship and customer service, it shows that we have a professional approach and that we will always offer an after care service. However, a lot of this is simple maintenance – we only use natural products- linseed oil for example and a quick wipe over every few months with a rag and linseed oil is all that is needed for many materials. Having a brief , the actual craft work of bringing it to life can begin. The first is to clear out the debris- this can be considerable and so, so messy, but once out of the way real progress can be achieved. We of course would ONLY use lime mortars- blended to suit the needs of the brief and also reclaimed materials unless a re-design calls for modern elements. Materials brought to the property ought to be sourced locally if possible, should be sound, and in the case of bricks, should be matching in terms of colour, texture, size and absorbancy. Is exactly that- taking the elements that are significant to the client along with the features of the property and using these, coming up with a new ‘twist’. Often an interesting challenge, but an opportunity to put my design degree to work! Modern living can have its advantages- the ugly bit of an open fire is the cleaning out next morning- a modern gas or electric fire needs none of that, but can it present that all important comfort appeal and focal point in the room? Some modern design, especially Scandinavian, can be stunningly simple and elegant, taking the period home onto the next stage in its long story. In this case it is essential to have identified the features that might have been there, the clues left behind in subsequent alterations , the aspirations of the client and the thoughts of Conservation Officers if the property is listed- quite a task, but if you get the basics right then the rest is so much easier and satisfactory! Restoration is a ‘best guess’ in many cases- it is where our experience of period properties and traditional building techniques comes into play. It can be a challenge, but it is always very rewarding. Simply put, it refers in this context to preserving what is presented and no more. 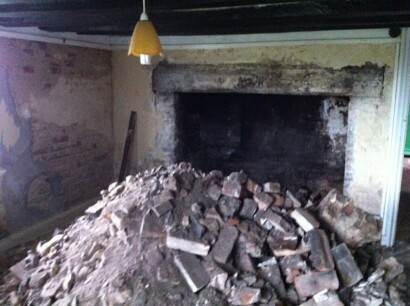 It might be an important feature, a fireplace or the whole property that requires this approach, the concept is the same-minimal intervention- that is doing only that which will preserve the material, aesthetic and function of the feature, only taking action if by not doing so the feature will suffer significant damage or loss. Any intervention must be in keeping with the structure, but should also be recognisable as an intervention too, so that it is not confused in later times with the original- honest and yet distinct, in keeping with the aesthetic- buying it some time.